Home / The Verdict Is In: How Has Detroit Mayor Mike Duggan Performed in First Six Months? 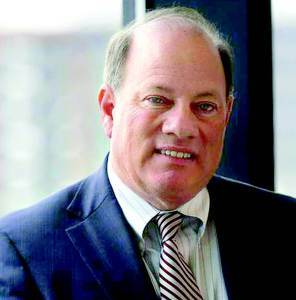 The Verdict Is In: How Has Detroit Mayor Mike Duggan Performed in First Six Months? Despite operating in a power-sharing government with Emergency Manager Kevyn Orr where public safety is still not under his purview, Detroit Mayor Mike Duggan, touted his first six months in office as progress, telling hundreds of residents during a public meeting at the Coleman A. Young Municipal Center on June 30 that the city is making significant inroads when it comes to issues such as blight and abandoned buildings that have plagued Detroit for many years. “We are going to roll through this city like no one has ever seen,” an ambitious mayor told residents Monday night as his remarks reflected the kind of zest that was in his first State of the City Address during which he promised tangible results in six months. “Here’s what I know for sure: The change has started, and the change in Detroit is real,” Duggan said in his State of the City Address at the time, outlining what he will do to upgrade streetlights and city parks, fix the Detroit Department of Transportation, attack blight and vacant houses. Some political observers at the time Duggan promised six months as the time frame for Detroit to begin to experience meaningful change, dismissed the promise as unrealistic, citing the intractable, cultural and deeply structural problems in Detroit government accompanied by bureaucracy. However, voices from across the business, political, educational and community spectrum are responding to the mayor’s six months in office. Some with a sense of optimism and others with anxiety. Daniel Loepp, president and CEO of Blue Cross Blue Shield of Michigan (BCBSM) who has moved thousands of employees to downtown Detroit from Oakland County with his “Proud to be Home in the D,”campaign long before Duggan ran for mayor, said Duggan is on the right trajectory in delivering on the promises he made on the campaign trail. Loepp said it is important to note that Duggan “came into office with a high level of commitment to the city and optimism for the renewal and revitalization of Detroit.” The mayor’s supporters and critics agree that Duggan is a bulldog when he wants to get things done. And he is a “tough negotiator” at the negotiating table as he was once described by his former campaign manager, Brian Barnhill, during an interview with the Michigan Chronicle. Dr. Curtis Ivery, chancellor of Wayne County Community College District (WCCCD), one of the flagship educational pillars in metro Detroit, said the city is in a historic moment, and that residents and all stakeholders should seize the opportunity and join the mayor to better Detroit. In a similar vein, Ivery said Detroit­ers should not miss the opportunity to make their mark on a city that is on a comeback. “This is an extraordinary point in our city’s history and Mayor Duggan has recognized this by asking all Detroit­ers across the region to be engaged, and contribute what they can to build momentum towards a more successful future,” Ivery said, noting that the need for an empowering education should be front and center in creating a better Detroit. That is a sentiment that holds true for many who see an effective educational system in the Detroit Public Schools (DPS) as a gateway for a successful city and Duggan has indicated that he wants to team up with DPS, not take it over. It remains unclear what kind of an educational agenda Mayor Duggan will initiate after his first six months in office. Mayor Duggan has built a rather interesting and very cordial working relationship with the Detroit City Council including President Brenda Jones, who has made many joint appearances with the mayor. Some of those appearances include forums with the city’s Booker T. Washington Business Association, and others were activities such as a joint press conference on the porch of the Grand Hotel at the 2014 Mackinac Policy Conference, as well as joint press releases on issues bearing both of their names. “The relationship between the mayor and the council president is not a ‘for-show’ relationship. I think it is an actual relationship with the goal of moving the city forward,” said Bill Ross, president of the Booker T. Washington Business Association, the African-American business group that hosted both Duggan and Jones for a forum on their first 100 days in office. Ross said Duggan’s concept of district managers is working very well despite what some critics have branded as building a political machine that interferes with the role of council members who now represent districts. Detroit City Council member Mary Sheffield said the mayor has made good on what he promised her. “Mayor Duggan promised a personal and official crusade on a few issues such as lighting, blight, cooperation with council and restoring power to Detroiters via their elected officials,” Sheffield said. However, Louis James, former chairman of the Wayne County Port Authority and CEO of JASCO International, speaking to the Chronicle from Chicago where he is attending the Rainbow PUSH Coalition annual convention, said he has not seen any vision. Ross, the leader of the Booker T. Washington Business Association differs from James. He said Duggan has a commitment to Black business. Detroit Police Chief James Craig doesn’t report to the mayor because in the power-sharing deal between Duggan and Orr, the police department answers to the emergency manager. It is not clear whether Duggan will retain the current police boss after Orr exits office in October. For Detroiter Juliette Okotie-Eboh, a veteran of the Coleman Young administration, who has had many leadership roles in the civic and business community, public safety is her biggest concern, and she wants the streetlights to work. She said the six months benchmark that has been talked about so much is not going to solve all of the city’s problems. And where do young people fit in the first six months of this administration? Duggan has launched a program to sell vacant houses already rehabilitated through the Detroit Land Bank, and during Monday evening’s meeting with the public, the mayor said he and the police chief are teaming up to rid the city of drug operations. Bankole Thompson is the editor of the Michigan Chronicle. Email bthompson@michronicle.com.